Go back to 2015. In the politically placid Obama years, the trends seemed logical, forwarding-looking, and strategic. America was pivoting to Asia, for China’s rise was clearly a much greater threat to U.S. power than whatever might happen in the Middle East. It was signing a nuclear deal with Iran, for to have balance in the Middle East meant America could not ignore one of the region’s most powerful states. It was pulling its European allies together against Russia, who dared threaten the post-war order, while embracing as many states as possible in a globalized, broadly neo-liberal hug that would establish a permanent world order. 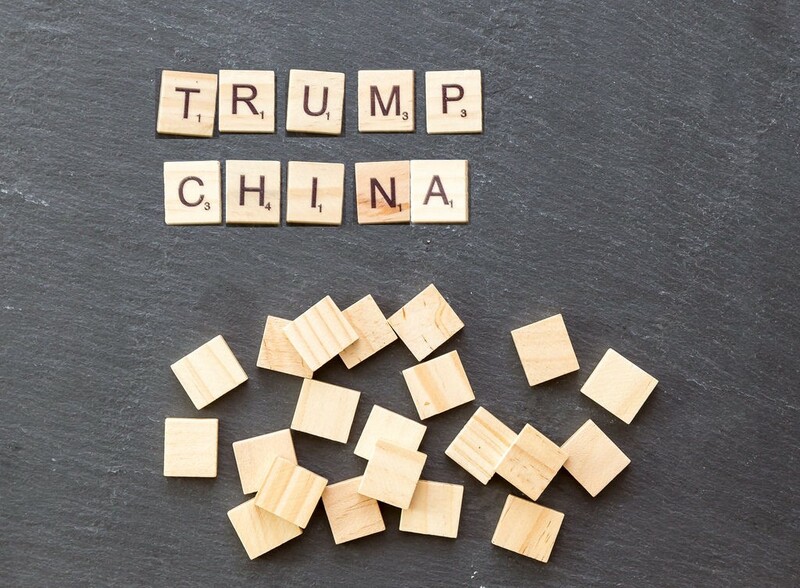 While many geopolitical analysts saw a competition between China and America, few foresaw the trade war; many forecasters could not imagine an America so strategically incoherent as to pull out of both the nuclear deal with Iran and then the Syrian battlespace that let its troops confront Tehran; and how the alarms did howl when Trump questioned NATO, as tariffs returned as part of state policy, as NAFTA came under attack, as neo-liberalism came under withering criticism from both American Left and American Right. Why so many blown calls? Well, mainly because the professionals, myself included, thought American policy would be controlled by technocrats, professional soldiers, and diplomats. But while America’s state is made up of such people, it is rarely led by them. Since Barack Obama’s election in 2008, America has lurched into the final stages of its Strauss-Howe Generational Crisis. It is the final, Fourth Turning before a new complacency sets in sometime during the 2020s. To get there, America must establish a new consensus, one underpinned by a conformist identity. In this quest for a new identity, huge aspects of U.S. policy are up for grabs by aggressive Right and Left, who know this is a once-in-century chance to define policy. And if you’re not talking about identity when it comes to the United States geopolitics, you’re missing something huge. What is important to understand is that this is happening on both Right andLeft — meaning that even if Trump goes in 2020, there is no return to the relatively straightforward days of Obama. Both are arguing that American identity — and hence its geopolitical behavior — must change. How much it changes, and in which direction, will be settled only by several elections. Thus it is both an inevitable and a slow process. 2020 will not end the debate, though it will decide who has the upper hand. 2022, 2024, and 2026 must come and go to establish and firm up patterns. Because America’s electoral system gives an extra boost to conservatives, liberals hoping for a total demographic victory and a liberal paradise are wrong: some conservative ideas, including Trumpian ones, will survive the fray and become part of the new social fabric. And as we enter 2019, we must entertain seriously the notion that isolationism, as defined by both Right and Left, is a good contender for the new consensus. War-weary and imperial-adverse, Americans do not want to feellike they are in forever wars, even as the U.S. has had troops overseas since at least the Spanish-American War in 1898. Where this impulse is acted out depends on who wins these elections. The Right has pivoted towards a more Russophile policy to step away from confrontation with Moscow — and leave Europe to its own devices. The Left has embraced Russophobia to achieve the opposite and is trading off engagement in the Middle East, specifically with the Persian Gulf states, Syria, and in the confrontation with Iran, to compensate. That is not the only contours of the debate, but they are certainly a big part of it. What both interestingly enough agree on is that China is a primary threat. That means that no matter who wins, the U.S. will very likely keep going after China. Meanwhile, both Right and Left are arguing over how to use the globalized economy. Tariffs, it seems, are here to stay, barring a Smoot-Hawley-style disaster. That’s because both Right and Left agree that globalization has gutted the American middle class (correctly or not). What they disagree on is if America’s own economy should be restructured to bring wealth downwards from the corporations and top 1% or not. That matters for the world because if America, the world’s biggest economy, begins a serious wealth redistribution program at home, it will affect not only global capital flows but encourage the many, many other budding populist movements that want to do the same in their home countries. Finally (at least for this post), the Right and Left are also arguing over how American values will be attached to policy going forward. That’s important for the next generation: if the Left wins most of these fights, and human rights (as best exemplified by U.S.-Saudi tensions over Yemen and Jamal Khasshogi) become a big part of American diplomacy, it will limit the kinds of allies America can have, encourage opposition groups and, sometimes, hamstring America into having to back opposition forces that make moral, but not strategic, sense. Should the Right win, the transactional Trumpism that’s been characteristic of the past few years will become more the norm. States can expect an America that wants hard-nosed gains from their exchanges, not an elevation of global values. Democracies will be treated the same as dictatorships; Myanmar will find itself as valuable as France, at least from a moral standing. That may unlock some new friends; it will alienate, however, those who right now are in the American camp and are far from changing their own values to become so transactional. That fits current Germany, who would see a reason to drift away from a transactional America even further. In the final calculation, strategic thinkers, forecasters, and foreign policy analysts who ignore America’s debate over identity do so at their peril. They will be blindsided by policy driven not by dollars and cents or strategic gain but by cultural imperatives evolving at home. For those who choose to ignore how American identity is changing, be ready to be wrong early and often as the next decade begins.